Google Classroom's Learning Management System (LMS) will be explored and best classroom practices based on our action research through employing its use in Elementary Classrooms. We will be spending time setting up a class and exploring some of the features with students. We will explore the Blended Learning implications and the communication advantage this tool provides to promote student success through organization and a potentially paperless classroom. This session will address how Google Classroom has worked with students and what practices have been successful or challenging in using the Google Classroom. The resources used will be available on the website listed with this workshop. Click here to see Katie Dewey-Hill's website. 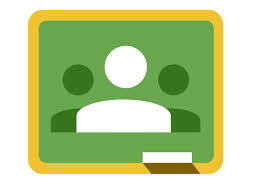 At the end of this session you will have learned how to set up a Google Classroom to use with your students in order to make announcements, share online resources, and connect your Google Apps activities through Assignments. The Google Classroom Quick-Start Guide + Tips and Tricks!